This year, winter has extended further than usual, with the cold weather of March persisting into April. March can either be the starting of summer or the end of winter. In 2018, March was definitely a winter month and Gazprom's supplies to Europe were up (+21.7% compared with the previous month and +21.4% compared with March 2017) as the cold weather triggered continued high gas demand. And since records began (July 2016), Gazprom exported a record of 529mn m³ March 20, showing that Gazprom's effective maximum exports to Europe could be 194bn m³/yr on an annual basis (as shown in our monthly graphs). 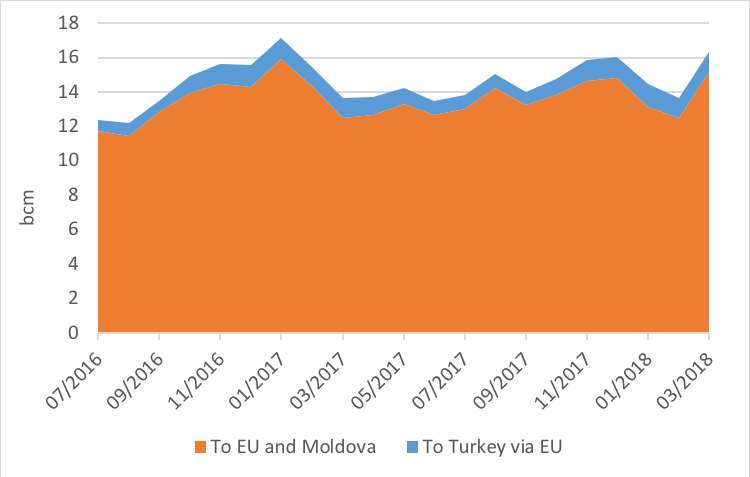 With direct flows now close to maximum all year round, the swing in exports is taken by the Ukrainian transit route that witnessed a 42% increase relative to February. 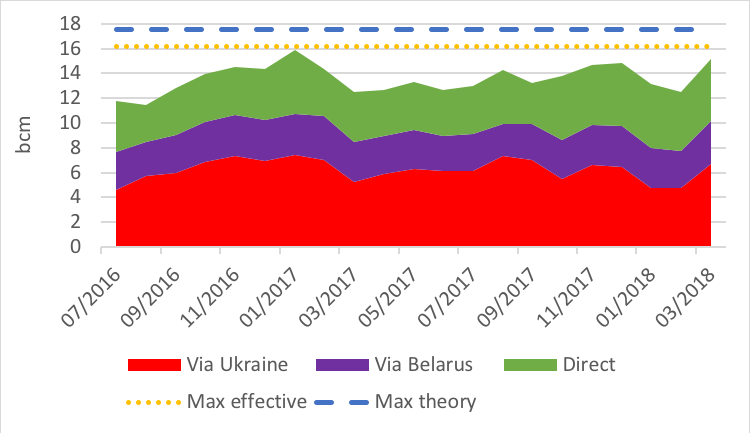 And with summer now finally arriving, we should expect any seasonal decline in April to affect the Ukrainian transit load factor. With 40.8bn m³ exported in Q1 18 vs 42.7bn m³ in Q1 17 (-4.4%) and LNG supplies growing, Gazprom will need more than the actual low storage level, if it wants to break another record export year in 2018. But we’ve become used to the unexpected….